Each year, more than 33 million Irish-Americans and fellow partiers worldwide raise pints of Guinness in the name of Ireland’s patron saint. St. Patrick’s Day ranks fourth, behind New Year’s Eve, Christmas and Independence Day, among the most popular drinking days with nearly 13 million pints of Guinness consumed worldwide. That’s enough Guinness to fill almost 2.5 Olympic-sized swimming pools! Of course, no celebrating can take place if the brew remains in the bottle…which leads me to the purpose of this blog: bottle openers. Your choice of bottle-popping tools also says something about your customers and brand. 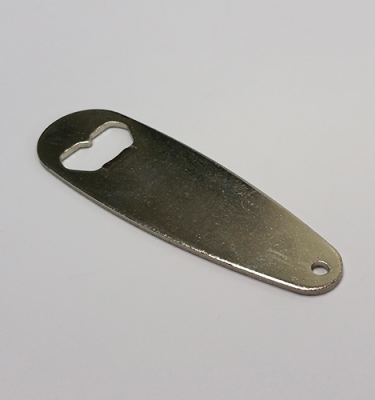 In essence, the bottle opener has become a multi-faceted tool for breweries, serving utility and merchandising functions. Some vital identity decisions for your brewery will be creating a tagline or slogan and creating a business logo. A good logo goes a long way in establishing your brand and business identity and should reflect what your business does. Your logo should be unique, eye-catching and easy to identify. Once you’ve created your logo or slogan, what should you do next? Call Cymba Bottle Opener Company! That’s what Scott and Jackie Cullen did, owners of River Styx Brewing based in Fitchburg, Massachusetts. Over the last 20 years, Cymba has been creating classic bottle openers with artistic style and reliable functionality. As an extension of the River Styx brand, Cullen decided his brewery could benefit from branded bottle openers. 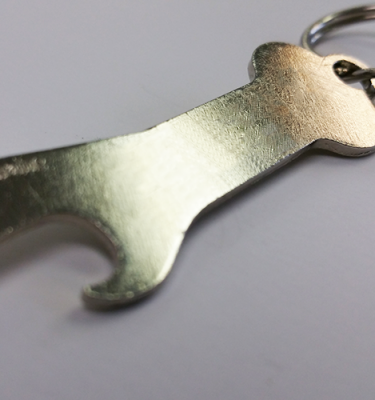 Unveiled at a bottle release party, the bottle openers were originally intended to serve as a promotional item, but ended up being sold as merchandise and used by bartenders in the brewery to open bottles. Working with Cymba President Ed Sorillo, Cullen was able to bring his design to life. 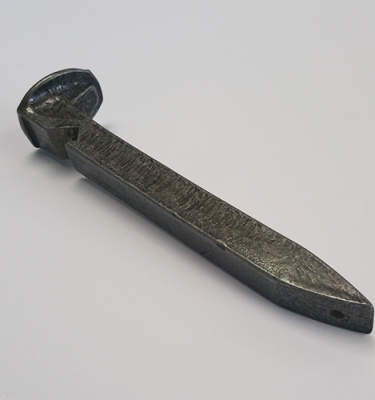 Sourced from locally made and Made in USA materials, the bottle opener offered functionality and style while playing to Cullen’s business philosophy of making every effort to keep all business in-state. 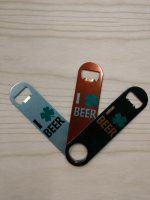 Give your beer-loving customers the luck of the Irish with a custom designed bottle opener for St. Patrick’s Day. Order now for delivery by March 2. Click here to check out the entire Cymba Bottle Opener catalog today!